Posted on 5, October 2016 by EuropaWire PR Editors | This entry was posted in Art & Culture, Austria, Awards, Construction, Real Estate and tagged Architecture, Dr. h.c. Kristin Feireiss, Hans-Jürgen Commerell from Aedes Architecture Forum, The Zumtobel Group Award, Ulrich Schumacher, Zumtobel Group. Bookmark the permalink. 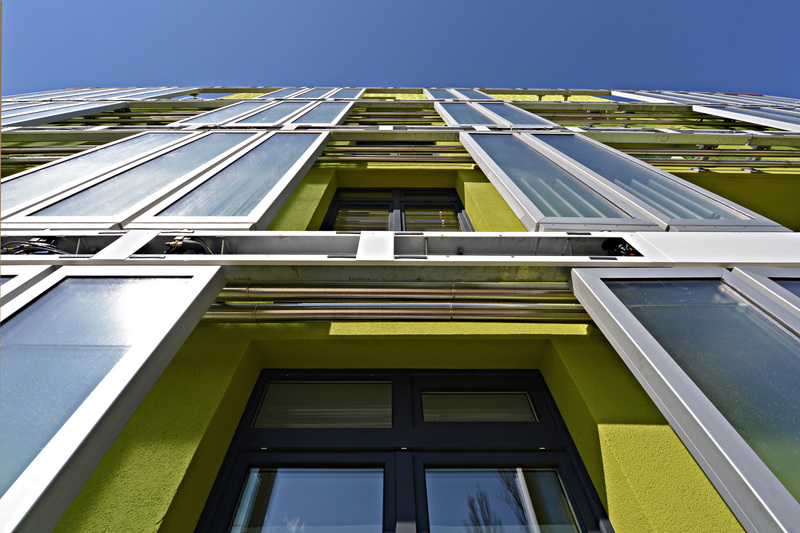 In the category Applied Innovations Arup Deutschland GmbH impressed with their SolarLeaf project in Hamburg, Germany, a facade system using photo bioreactor technology. Dornbirn, Austria, 05-Oct-2016 — /EuropaWire/ — For the fifth time the Zumtobel Group is inviting submissions for its international architecture award – the Zumtobel Group Award – Innovations for Sustainability and Humanity in the Built Environment – to take place in 2017. Through its architecture award the Austrian lighting group aims to promote pioneering concepts and developments leading to greater humanity and sustainability in the built environment and the way it is designed. The Zumtobel Group Award addresses core issues of our age, such as how best to deal with our finite resources, opportunities for repurposing existing buildings, sustainable development concepts for urban and rural space, utilisation of new materials and innovative processes, and the central question of humane living conditions. From 30 September 2016 to 15 January 2017, architecture practices, engineering bureaus, urban and landscape planners, universities and technology start-ups, NGOs and other public or private initiatives can submit their current projects via the online registration tool: http://www.submission.zumtobel-group-award.com. “The issues of resource conservation and the creation of better living conditions in both rural and urban contexts pose major challenges for us all; challenges we can only master through the mutual exchange of knowledge. We need to network architects with engineers, research establishments and local initiatives to identify new approaches to finding solutions. Through the Zumtobel Group Award we are out to foster this dialogue, as well as rewarding and spotlighting pioneering concepts. With our current call for submissions we are also aiming to encourage the younger generation in particular to enter for this award,“ said Zumtobel Group CEO Ulrich Schumacher. Submissions for the Zumtobel Group Award – Innovations for Sustainability and Humanity in the Built Environment are again invited in three categories, each category being presented by one of the lighting group’s brands: Applied Innovations (Tridonic), Buildings (Zumtobel) and Urban Developments & Initiatives (Thorn). “In the space of ten years the Zumtobel Group Award has become an established international competition. The Award puts the spotlight on the challenges posed by the design and development of current and future built environments, but that is not all. Because over the years we have continuously adapted the parameters of the Award to the ever-expanding technological possibilities and increasingly digitized processes, enabling the resultant social interactions to be taken into account as the winners are selected. In this context, the special award for Young Professionals is designed to encourage the ‘next’ generation to take part,” said the curators Dr. h.c. Kristin Feireiss and Hans-Jürgen Commerell from Aedes Architecture Forum, Berlin. The Zumtobel Group Award was first presented in 2007. Since then, a total of nine projects have been awarded first place, while 36 projects have earned nominations. The winners of the previous 2014 award were the Chilean architecture practice Elemental, led by current Pritzker laureate Alejandro Aravena, who is also Director of this year’s Architecture Biennale in Venice, with a master plan for the sustainable reconstruction of the city of Constitución in Chile, which won the category Urban Developments & Initiatives. In the category Applied Innovations, Arup Deutschland GmbH impressed with their SolarLeaf project in Hamburg, Germany, a facade system using photo bioreactor technology. And in the Buildings category, the winners were the architects from Studio Tamassociati in Venice, Italy, for the Port Sudan Pediatric Centre.